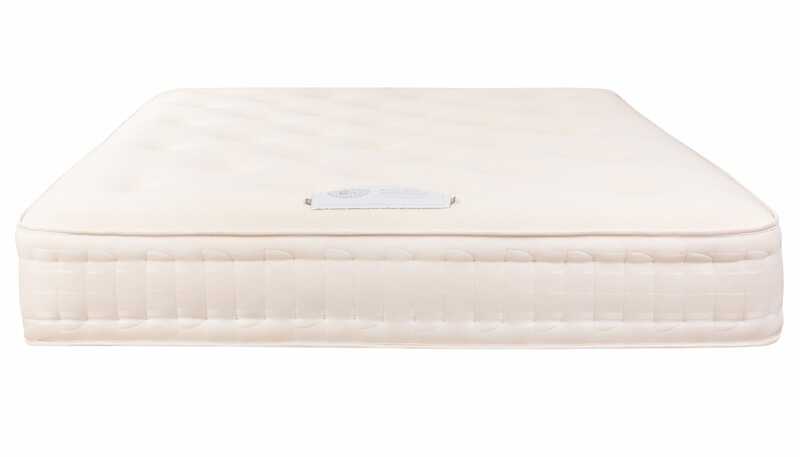 Available in a choice of soft, medium or firm tension, the Latex Pocket 3000 mattress features thousands of traditional honeycomb nested pocket springs – the unique binary spring construction provides independent support for each sleeper, increases air flow and further minimises roll together. The pocket springs are covered with a layer of coir fibre on each side with multiple layers of bonded white cotton and a double sided layer of responsive latex. 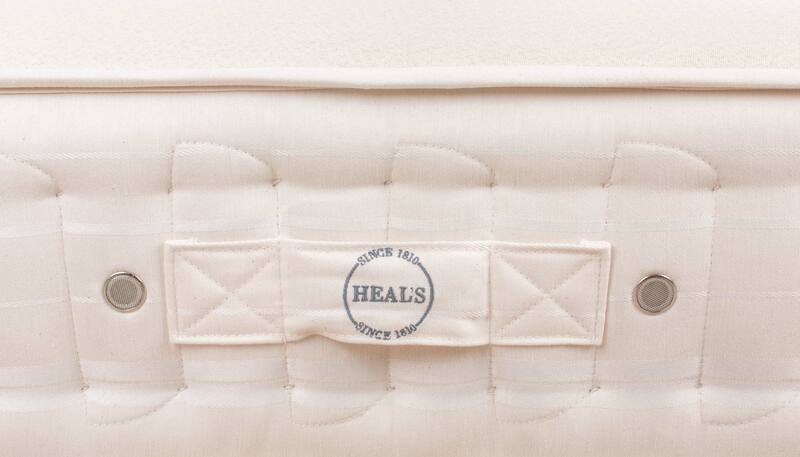 Finished with two rows of genuine hand side stitching, a Heals Knitted Tencel cover and hand tufted with wool tufts. A wonder material whose elastic properties allow sleepers to easily roll from side to side preventing disruption of natural sleep patterns, latex is effective at keeping cool in warm temperatures and preventing dust mites from thriving. 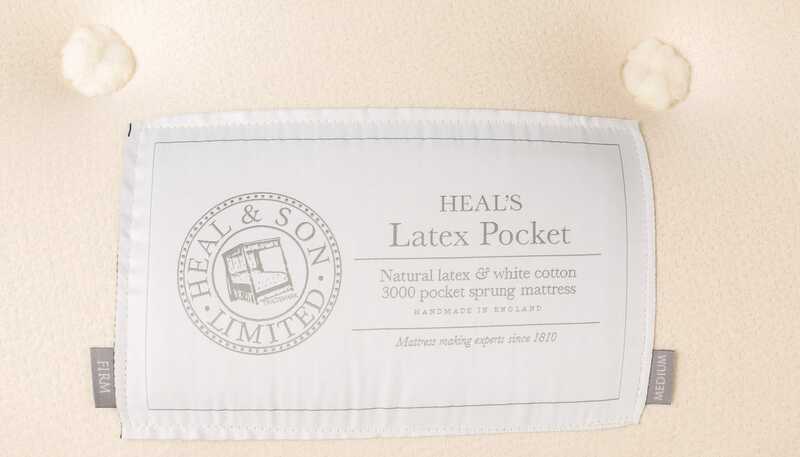 All of the Latex Pocket 3000's fillings are held together with traditional hand tufting as well as two rows of hand side stitching complete with solid nickel ventilators to add breathability and prevent uncomfortable build-ups of moisture.